Ring Details: 14k white gold hand engraved wedding Band with twisted rope grooves and high polished edge. 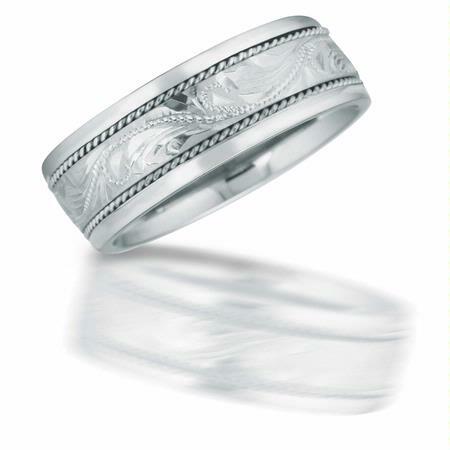 This stunning men's antique style 14k white gold hand engraved wedding Band ring with twisted rope grooves and high polished edge. A symbolic expression of your everlasting love!